Lions guard Adam Pohlman sinks a free throw shot in the first half of the Lion's game against Missouri Western State. 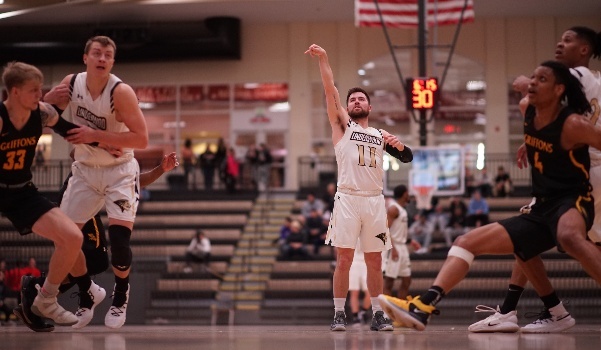 On their Senior Day, the Lindenwood Lions ended its regular season on a high note with a dominant home win over the Southwest Baptist Bearcats. Southwest Baptist won the first meeting between these two MIAA rivals back on January 17 on a suspect non-call on what appeared to be a goaltending. This time around, the Lions made sure that the game wouldn’t come down to an official’s call with one of their better all-around performances of the season. After being honored prior to tipoff, the seniors helped lead Lindenwood get off to a strong start by going on a 12-5 run in the opening 5:15. All four seniors that started the game directly contributed to the team’s quick scoring, with Brad Newman, Drew Moore, and Chandler Diekvoss all tallying at least one bucket while Adam Pohlman dished out two assists. 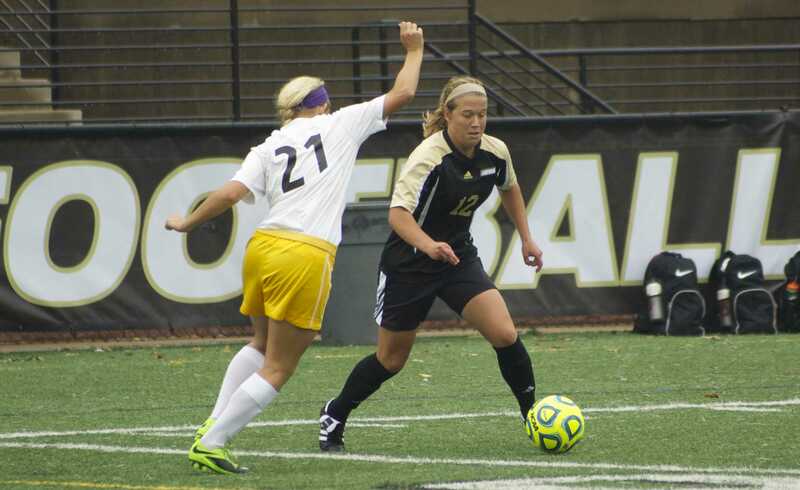 The Lions started to pull away with 10:49 left in the first half, when the score was 14-11 in favor of Lindenwood. Over the course of the next four minutes, the hosts would outscore the Bearcats 16-0. Newman had seven points during this span, while sophomore TJ Crockett capped off with a tip-in to make it a 30-11 game. A late Southwest Baptist run would keep them in the game at the half, where they trailed by a score of 37-26. Leading the way offensively for the Lions in the first was Newman, who had 11 points at the break. Crockett had seven, followed by fellow sophomore Diego Womack who had six. Lindenwood’s offense was the story of the second half, notching 45 points on a 63.6% field goal percentage. A majority of their offensive possessions ended up on the scoresheet in the first 10 minutes, but what happened after was what left a packed Hyland Arena crowd humming in their final home game of the season. First it was Chris King, who hit a deep three to extend Lindenwood’s lead. On the next possession, Pohlman grabbed the steal and sent Crockett on the fastbreak, and the sophomore showed no mercy with an emphatic one-hand slam that got the entirety of the crowd on their feet. Both teams would trade buckets after the highlight reel play for the remainder of the half, with the Lions winning easily over the Bearcats by a final score of 82-68. Lindenwood ends the regular season over .500 at 16-15 overall and 9-10 in MIAA play. The Lions enter next week’s MIAA tournament as the seventh seed, and will meet up with Southwest Baptist once more in Kansas City on Wednesday at 2:15 p.m. in their postseason opener.